When you’re brave enough to take to the skies sans plane, you deserve the only skydiving company in the entire state with a perfect safety record. Home of the 2016 USPA champs for national distance, safety always comes first here—but thrills and fun are a close second. Prices start at $239 for a walk-in tandem rate or $219 with a deposit for the 10k feet option. There’s also 8.5k feet and 12.5k feet. Ground school is a must for almost all jumpers, and you can choose to add on options like a FlySight GPS to record your jump data, a hand-cam for video and stills, or choose the photos only option or deluxe video. Get a 5% cash discount with any package or add-on you choose. 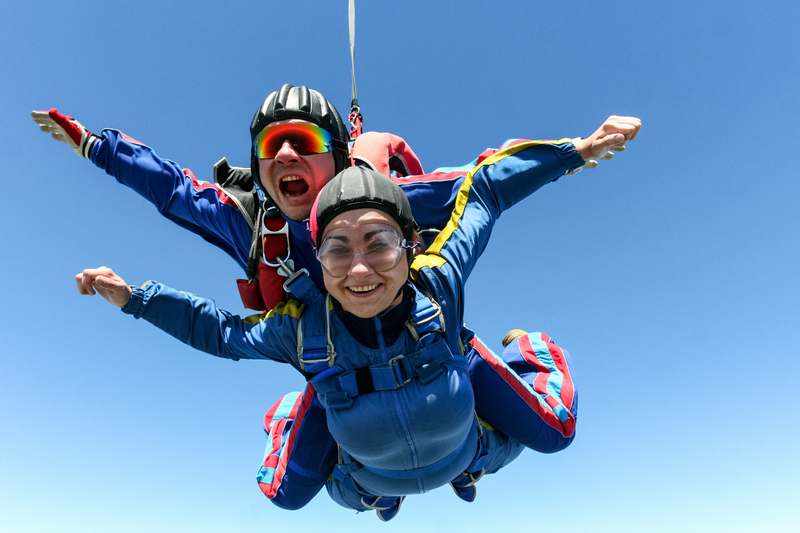 Classes for those who are interested in skydiving as a sport are available on an as-needed basis. However, tandem jumps are the most popular for newbies, especially since it requires much less ground training than a solo jump. Skydiving is a fantastic option for a group outing, special event or business team-building activity. No other “trust game” can compare! At Scissortail, the professional team takes skydiving seriously as a sport, but prides itself on making sure every jumper has a blast. Schedule your jump today to score a discount and get ready for a twister’s-eye view of Oklahoma.